What is groovemonitor.exe? Should I remove it? 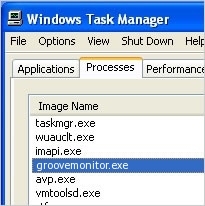 groovemonitor.exe (also known as GrooveMonitor Utility) is a legitimate process, which belongs to Microsoft. In most of the cases, this utility is used for tracking Groove Collaboration Service problems and then creating error reports. These reports are sent straight to Microsoft. groovemonitor.exe is launched only when an error occurs, so it shouldn't cause system slow downs and similar issues. However, it's not an essential system process, so you can terminate it if you think that it's causing problems on your computer. 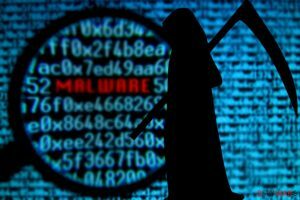 groovemonitor.exe can also be related to malware because there are lots of hackers that tend to use names of legitimate files for hiding their own viruses and their presence on the system. If you noticed that this file consumes lots of system's resources, it might be that groovemonitor.exe is a malicious file. 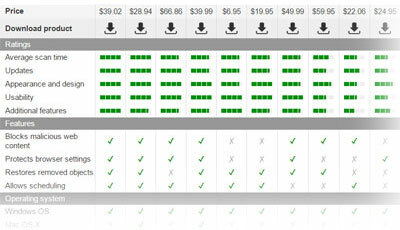 For checking it and, if required, terminating it, we recommend using RegCure Pro. This entry was posted on 2014-06-18 at 04:38 and is filed under Application files, Files. You can quickly scan the QR code with your mobile device and have groovemonitor.exe manual removal instructions right in your pocket.